This looks pretty stellar. Cadillac is finally implementing their concept language in their front ends. The new grille and cleaned up headlamps/bumper look excellent. Tail lights are a little strange, but more daring than the outgoing model. The dull duckling is GONE. That is a stunning transformation. Given the coming Escala, it's too bad they are calling it CT6 and not Seville. front looks great but they still can't design a rear end that looks in any way youthful or sporty. they have to let go of all the vertical elements in the rear and design something sleek. Needed to look like this from the onset, still its great now hope its successful; Caddy needs this as does America : a proper full sized RWD sedan. I like the front end, but I think the new horizontal elements of the tailights don't work very well. Not only is it stunning, with elements from the Escala concept, but also now with the availability of the new V8!! This is a new high-feature V8, exclusive to the division, according to reports. Even the "regular" CT6 models can get the twin-turbo 4.2L DOHC mill, with 500HP, and the V-sport, which was announced and shown, gets the engine in a higher-tune! This looks to set the stage for the upcoming production Escala flagship, according to recent reports. A few years back, there was saddening news, too, that once the Northstar ended, the replacement high-feature V8 was said to be shelved. Twin-turbo V6s, and the 6.2L V6, LT1 and LT4 looked to take it's place. Now we get the engine that appeared in a couple of the concepts, but hidden from view! Some potentially good news: the death of the CT6 may have been exaggerated. Sounds like it's not quite a sure thing but GM is looking for a way to save it. That's nice to hear, because the CT6 is really an excellent car that deserves to stick around for a while IMO. It'll still die...just when is the question. There is a TV show call Ray Donovan ... this season he's been driving around in a Caddy; I didn't recognize it -but turns out it's a CT6 on steroids. Looked good...I remember thinking that it was a shame that Caddy is killing it vs. doing what needs to be done to save it. 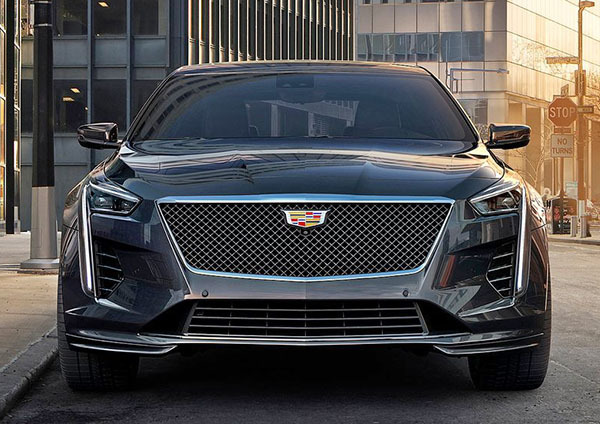 When they redid the nose they should have put a V8 in the base car and renamed it Elmiraj and put it out for $45K with a $60K supercharged V8 as the Elmiraj V.
The CT6 probably should have REPLACED the CTS and inherited the CTS' price point when it debuted, but that moment was blown. As it is, "CT6" conveys nothing about what it is and definitely says nothing about Cadillac.